Part of YM360 Event Resources, ONE is perfect for your Disciple Now Weekend, Youth Ministry Retreat, Summer Camps, and Back-To-School Events. 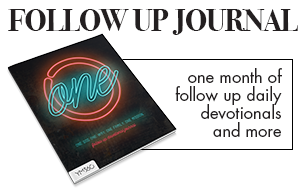 Purchase One, and lock in your theme, all your Bible study content, videos, artwork, parent resources, and more. PLUS! With your Study purchase, we're shipping you a sample Student Super Bundle for free! 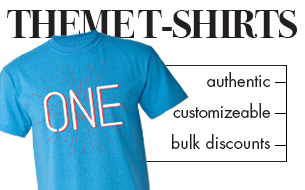 This includes (1) Interactive Student Book, (1) Follow-up Devotional Journal, and (1) Classic Designed T-Shirt (size: medium). 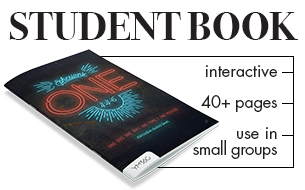 These student resources will ensure your students have an exceptional experience and this sample pack will be our starting point for partnering with you to get these in the hands of your students! Students will encounter the capital-T truth: There is one God, the creator of the universe and of you and me, and there is no other. And the Bible is 100% clear on the subject: Jesus Himself says no one can come to the one, true God except through Him. And if we come to God through faith in Christ? We’re welcomed into one giant, awesome family of Believers. Want more great news? We’ve been given one main mission: go and make disciples of all nations! Teach ONE and help your students see the amazing message of what God wants to do in and through them. Themed T-Shirts! Authentic. Themed Design. These shirts offer your group a sweet look for your weekend. We'll even customize them for you if you'd like! Custom Designed T-Shirts! Let our team create something awesome just for you. Call 888.969.6360 for more info! 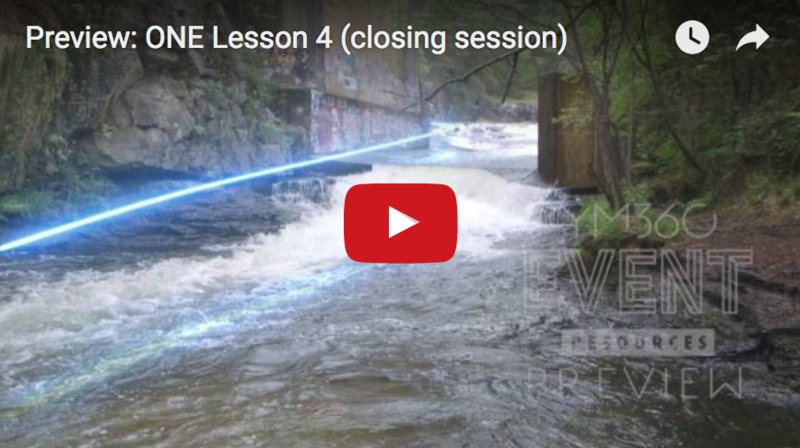 Download this overview of One and the 4 lessons included. Get an up close view of a lesson, plus a features overview. 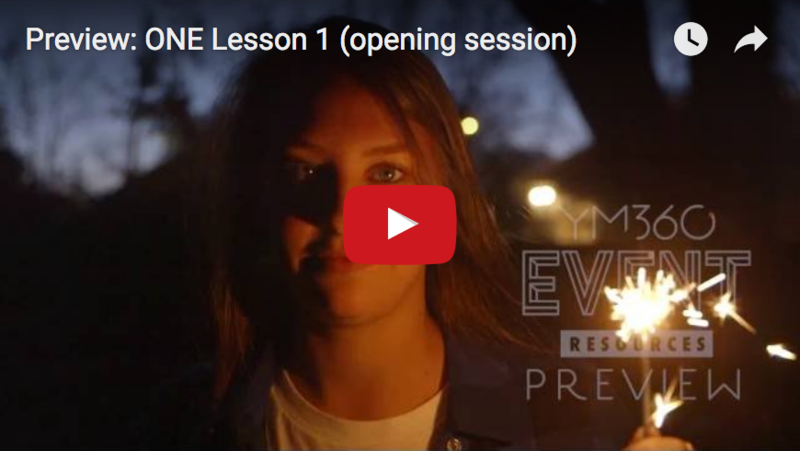 This video is for your opening session. Events have never been made easier. This video is for your closing session. Spend more time on what matters. 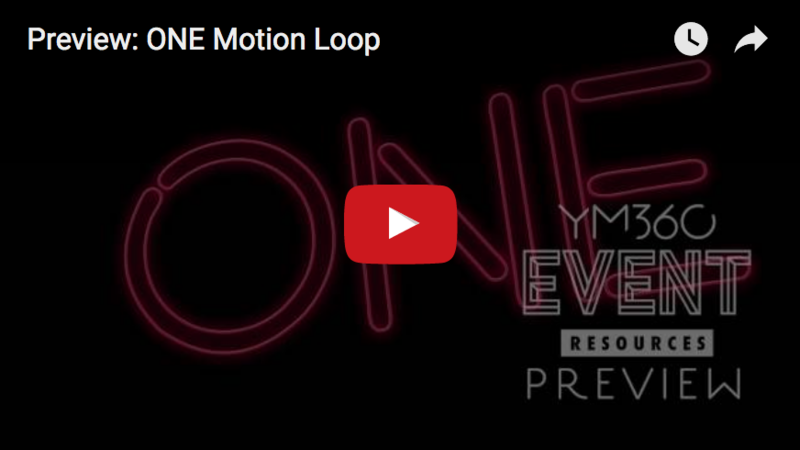 A motion loop made for you. We've thought of everything. 4 teacher prep videos included. It's teaching made easier.